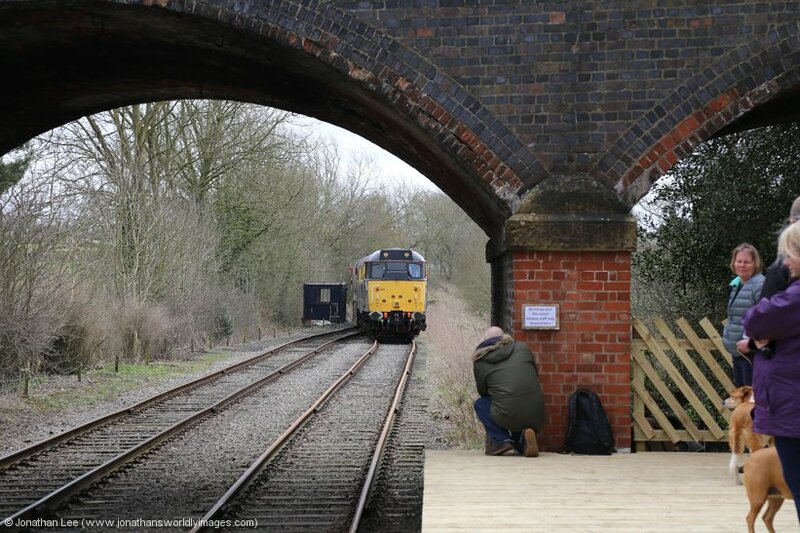 The Ecclesbourne Valley Railway (EVR) held a diesel gala over the weekend of 18th & 19th March 2017. After long time resident 31414 had left the railway the previous year I thought my visits to Wirksworth had come to an end. 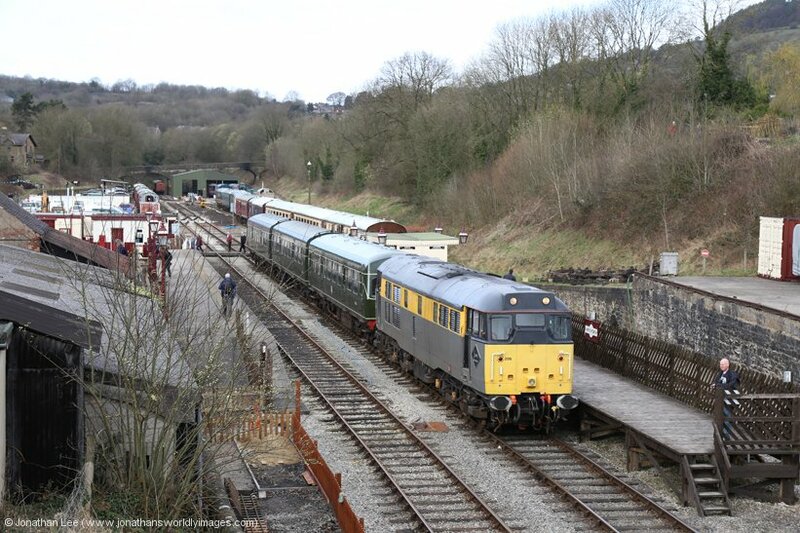 When the EVR announced that 31206 would be visiting for the gala and having an extended stay of 2 years, I looked forward to quite a few more visits to Wirksworth; starting with this gala. On Saturday 18th March everything went about as to plan as it could have done. 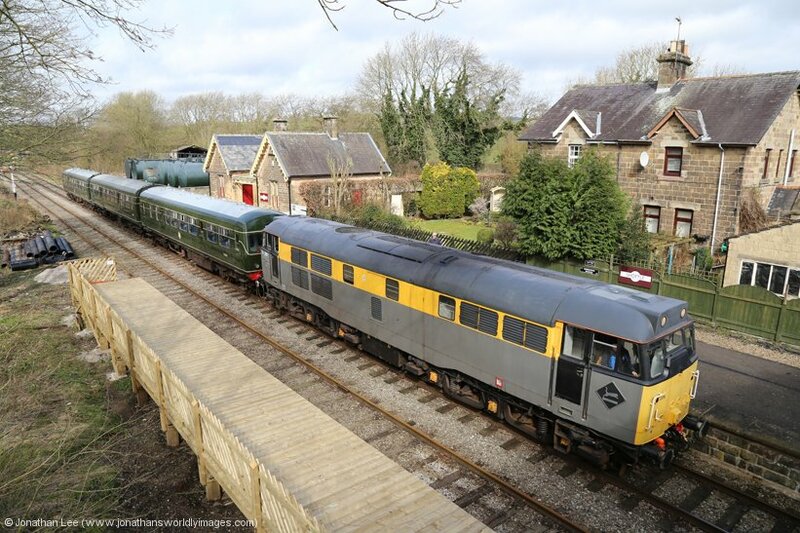 A random pairing of 31206/33103 on the first trip from Wirksworth to Ravenstor was to be 31206’s only trip up the Ravenstor incline but due to popular demand a second trip was operated; apparently due to people not being able to make the first one if arriving by public transport. 31206 spent the day attached to the 3-car Class 101 DMU, which was being used as hauled stock for the day, while the Teddy Bear & 33103 mostly used the load 4 hauled set, with a brake van attached to the north end. Rides in which cost an additional £5 per trip! Having suffered 31414 and its low power at the EVR, 31206 made a welcome change as it actually sounded like a proper class 31 should; albeit on one side it sounded a bit like a class 50 as it sort of hacked away. Still, it did what was expected of it and field diverts came in when they should. 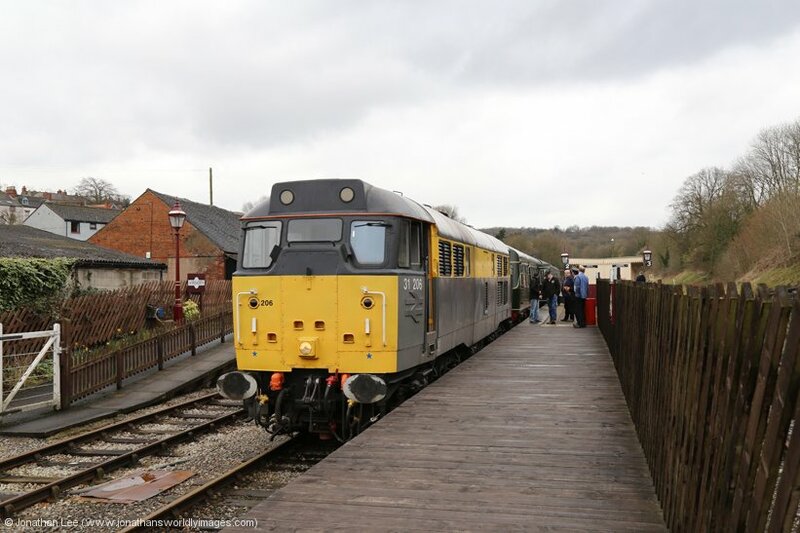 The constant rain during the Saturday put pay to much of the bellowing but from the comfort of the first class sections of the 101 DMU, at the Wirksworth end of the set, there was still plenty of noise to be had without heads being out of windows. 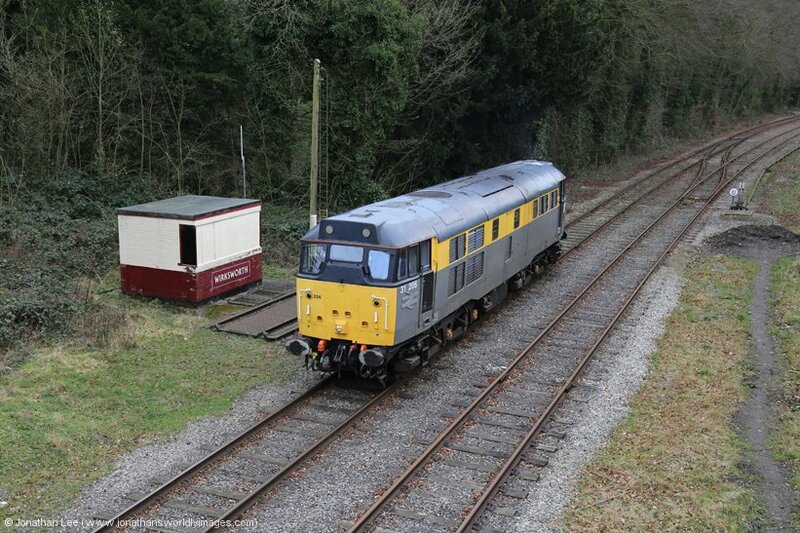 A good turn-out of Class 31 aficionado’s made the day a rather enjoyable one too. On Sunday 19th March everything went down the pan before lunchtime! 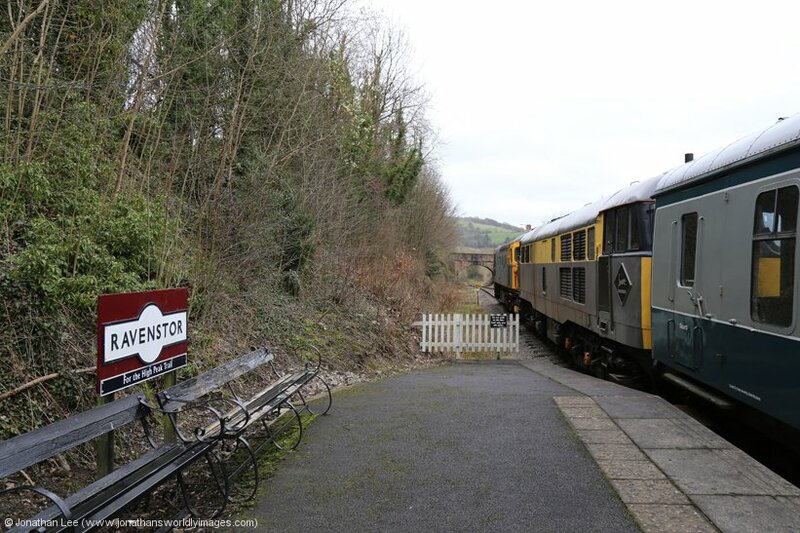 Having done the same two trips up the Ravenstor incline again, 31206 was attached to the 1105 Wirksworth – Duffield, just as things were brightening up. 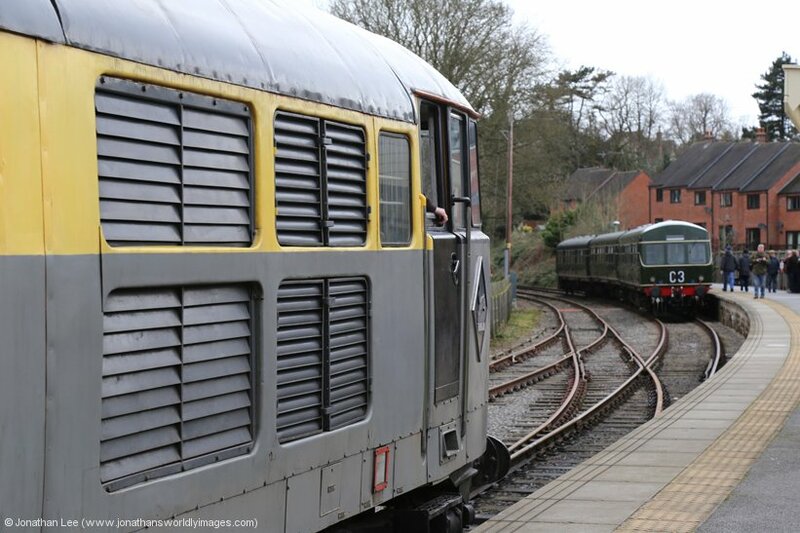 Unfortunately 31206 didn’t make it to Duffield with the 1105 and the DMU had to be put back into service to work forward from Shottle to Duffiled under its own power; an hour late! 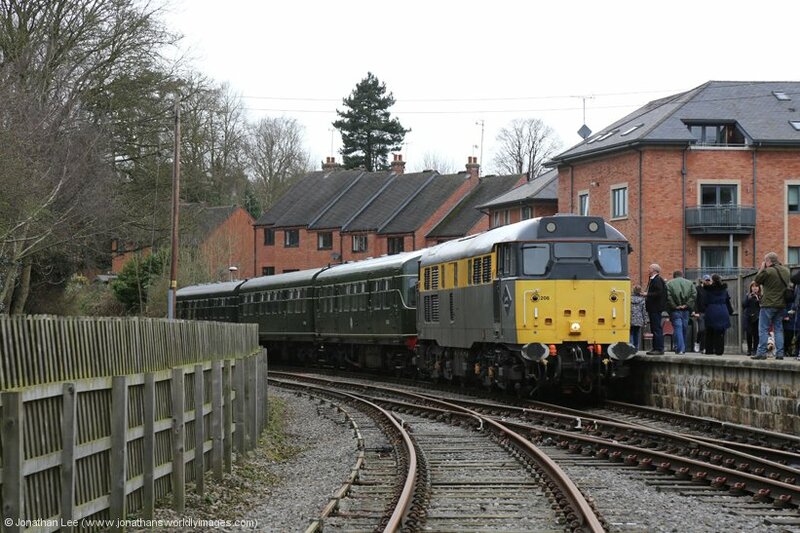 I can hear the anti-31 folk giggling now, however this unfortunate event had to take place as Teddy Bear D9537 had failed at Duffield while running round to work the 1112 Duffield – Wirksworth; which should have passed 31206’s 1105 Wirksworth – Duffield at Shottle. 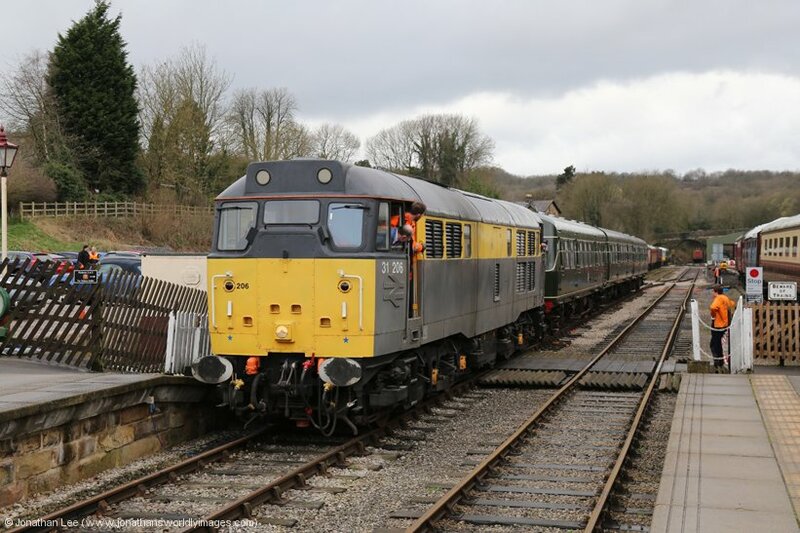 Much to my disgust, 31206 was removed for our train and dispatched to Duffield to rescue service, this after spare parts had been ferried by road form Wirksworth to Duffield but hadn’t solved the issue. Had this unfortunate event occurred the previous year then it would have been game over but thankfully the EVR had erected a nice new wooden platform in the loop and while there’s actually no way to access it at the moment, the staff kindly escorted everyone over the tracks to board the 60-minute late 1112 Duffield – Wirksworth when 31206 came back in with it. 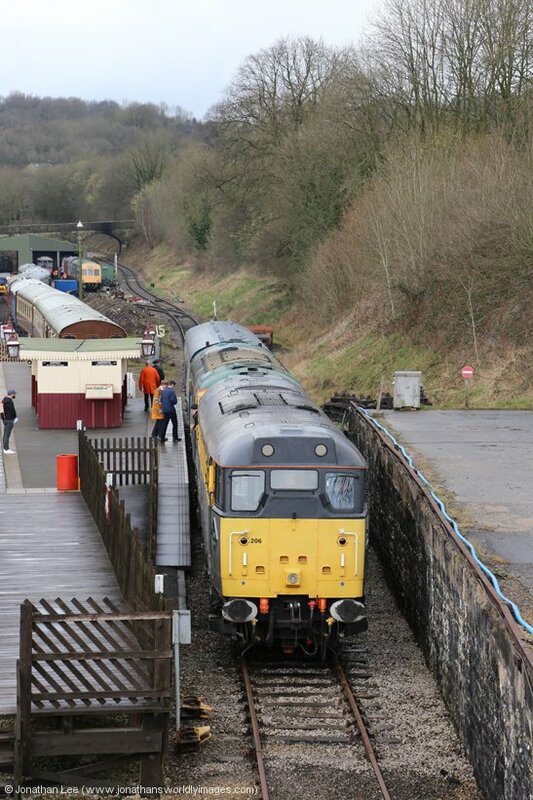 The run back to Wirksworth was fantastic, with the dead D9537 a brake and load 4 up the hill. 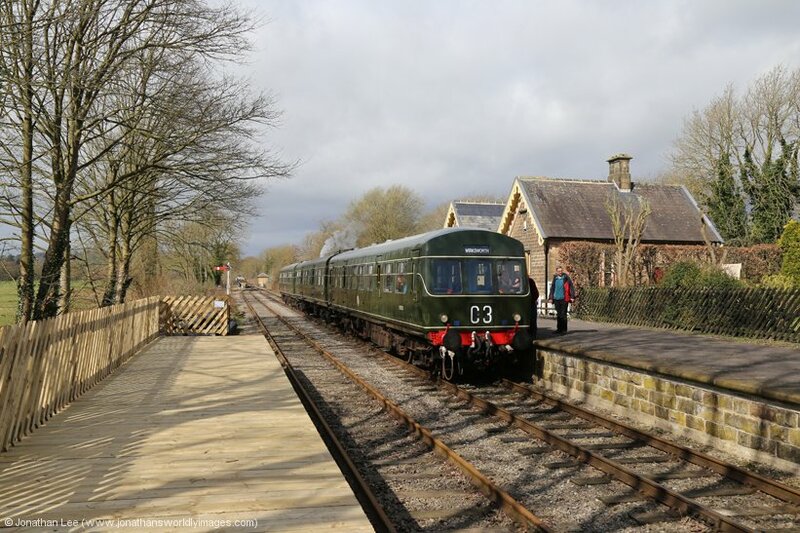 Due to the failure the 1205 Wirksworth – Duffield and 1212 Duffield – Wirksworth were caped and the service stepped back an hour; along with all the loco diagrams. 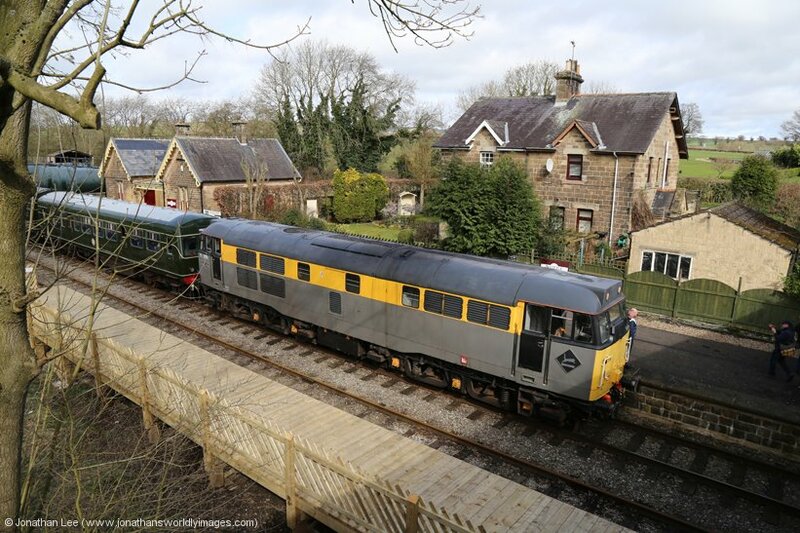 The problem with D9537 was resolved but it wasn’t risked on its own as it went down to Duffield on the 1505 Wirksworth – Duffield with 33103 on the rear. Other than the failure, there were no further issues and the gala seemed to have been well frequented. 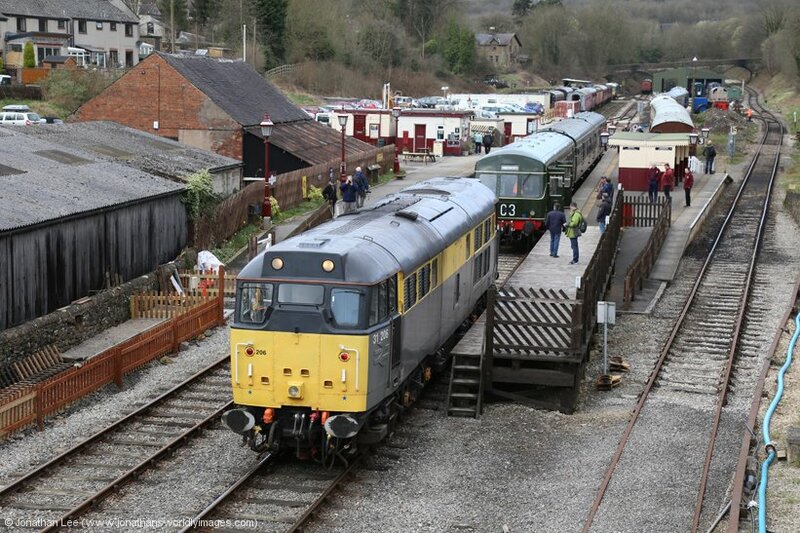 I left looking forward to 31206 being used throughout the Summer on the booked diesel workings at the EVR.